"In the last century, we have more river incision in this area than expected. Something caused these rivers to start eroding a lot more," said lead author Sarah Schanz, a former UW doctoral student who is now a postdoctoral researcher at Indiana University. 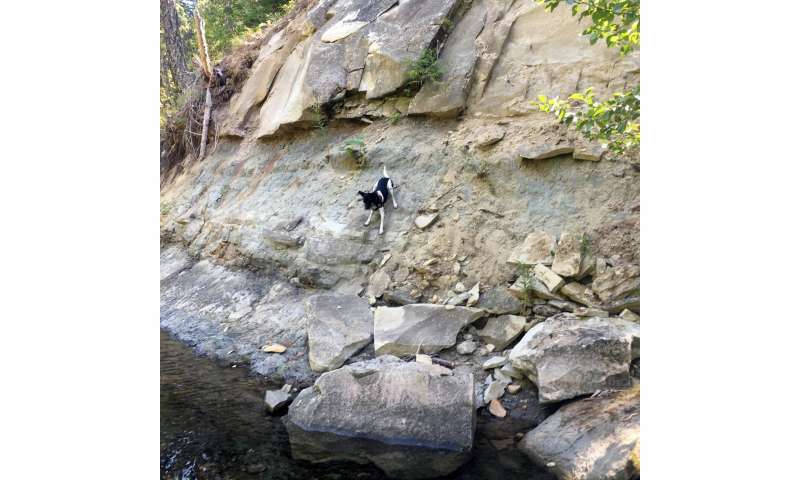 "We know the Teanaway River has eroded into bedrock before, naturally—it has some terraces that are 1,800 years old. But this current cycle is anthropogenic, or human-driven." 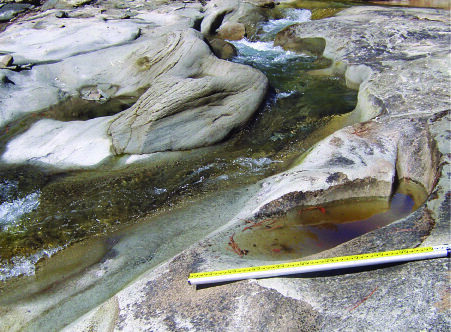 "This is the first time that we've been able to pinpoint erosion into bedrock due to human action," Schanz said. "Most rivers are eroding at about a tenth of a millimeter per year. This is about 100 times that amount." 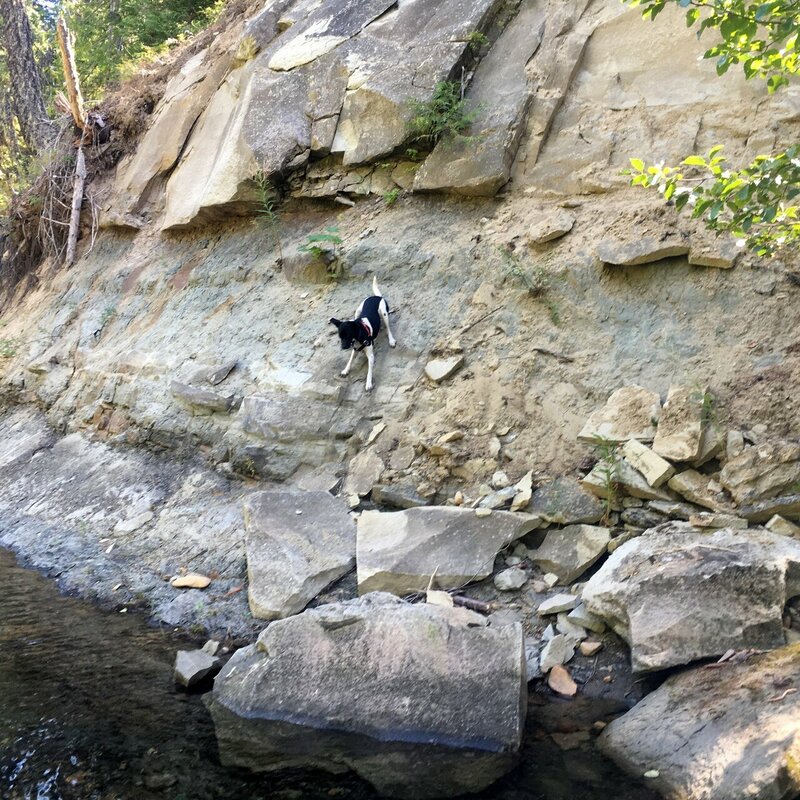 Collins also noticed unusual river terraces, the stepped structures along the river bank resulting from cycles of the river flooding and then running more quickly, cutting a new channel deeper into the sediment. 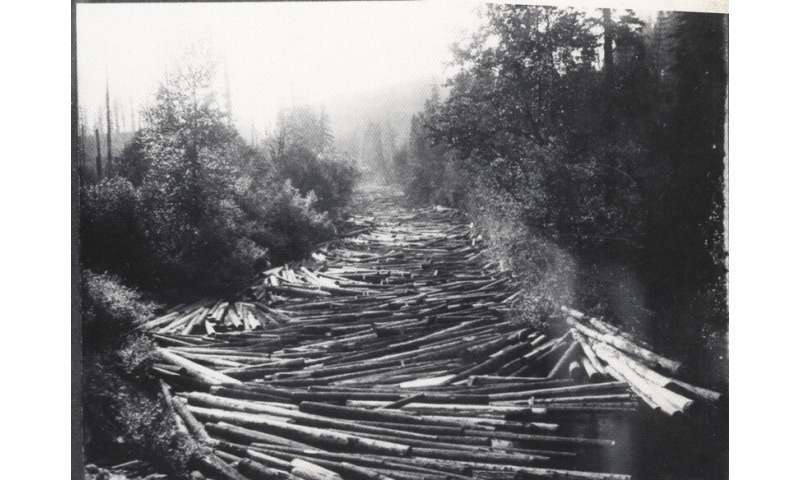 He led a 2016 study that calculated short-term changes in the Teanaway's western fork and suggested logging may have caused the river to cut a new channel. 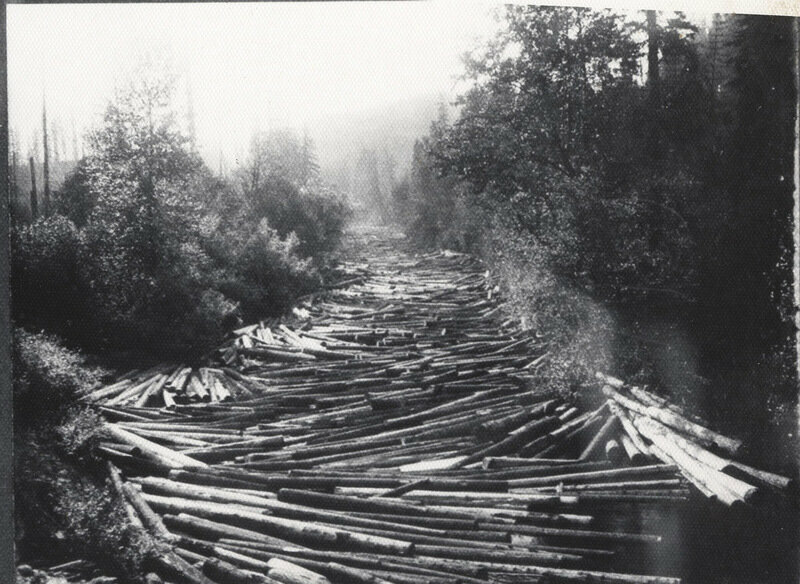 Before logging roads existed, companies built temporary "splash dams" high up on the slope with all the logs and then broke up the dam with tools or explosives. Released water helped send logs shooting down to the mills. "It was such an event that schools closed, and newspaper records show it really well," Schanz said. "People who are still alive today, some of their earliest memories are of going to see it." "If you have too much sediment, you're basically protecting the river from erosion. But if you have not enough sediment, as that sediment is moving along, it starts to hit the bedrock and erode it," Schanz said. David Montgomery, a UW professor of Earth and space sciences, and the other two co-authors used many techniques to analyze the four youngest terraces on the river's edge, including LIDAR maps, carbon dating of rocks and computer models. In 1999 the team even hammered nails into the bedrock and measured the erosion rates directly. "This is a direct topographic signature of the Anthropocene, the 'age of humans' that we now live in," Montgomery said. "The finding that terrace surfaces in the Teanaway are recently-abandoned floodplains suggests that similar landforms around the world may also reflect the influence of human activity." "It's sort of a hand-wavey linkage at this point, but I think this could be prevalent worldwide," said Schanz. "It's just not a signal that we've known to look for before." "I think the human part is really interesting, but what has broader implications, for me, is the proof that if you change how sediment moves through a river, you can change erosion rates," Schanz said.